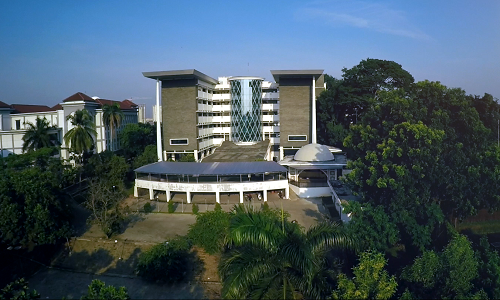 FAH, UIN News Online â€“ Universiti Sains Islam Malaysia (USIM) makes a visit to the Faculty of Literature and Humanities (FAH) UIN Jakarta, Thursday, (7/20) at Prof Dr Abdul Ghani theater of FAH UIN Jakarta. Their visit is aimed to conduct a comparative study on Arabic language and literature as well asÂ its translation. The delegation, led by the head of Arabic Language and Communication program of USIM Wan Azura Wan Ahmad, was welcomed by Vice Dean of General Administration FAH UIN Jakarta Dr. Yaniah Wardani MA, accompanied by Head of Arabic Literature Study Program M Husni Thamrin MA, and Head of Arabic Translation Study Program Dr Moch Syarif Hidayatullah MA. In his remarks, Wan Azura Wan Ahmad expressed his gratitude to UIN Jakarta, especially to FAH UIN Jakarta who has accepted his entourage to visit the largest Islamic University in Southeast Asia. â€œHopefully, USIM and UIN Jakarta can continue its educational cooperation in developing the science, especially in the Arabic language study program,â€ said Wan Ahmad. In response, Yaniah Wardani said that FAH UIN Jakarta appreciate the visit, she also hoped this kind of inter-university comparative study should always be implemented for the better development and application of Arabic language. â€œWe can support and evaluate each other, either in academic terms or its application in their respective universities. This is also a good opportunity to improve bilateral relationship between countries,â€ said Yaniah. In line with Yaniah, M Husni Thamrin MA emphasize that Arabic language is one of the mediums to unite and realize the relationship among Muslim peoples. 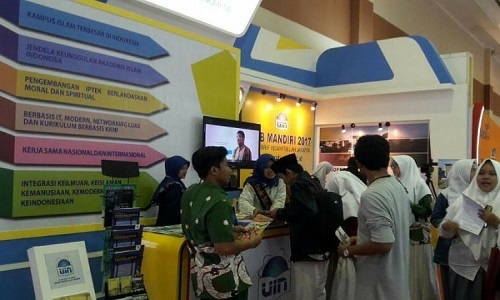 â€œAn Arabic language teaching and its application is the important aspect to raise and realize the Islamic civilization,â€ said Thamrin. In the same place, Najiyudin as a representative of FAH students expressed his gratitude for the joint commitment between FAH UIN Jakarta and USIM to realize Arabic as an International Language.